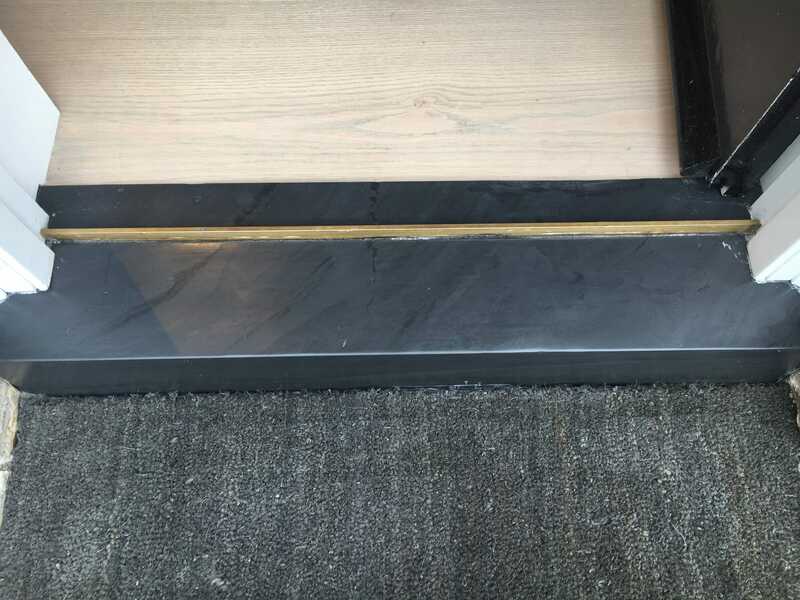 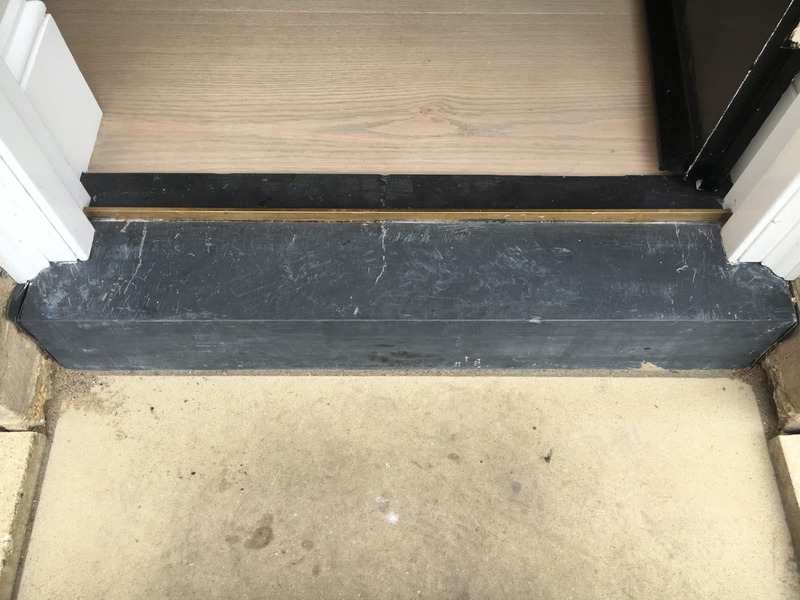 A blue slate threshold stone to a private house in Regent's Park in London had some bad scratch marks to the newly installed stone that needed polishing and protection treatment. View of threshold piece before the repair. 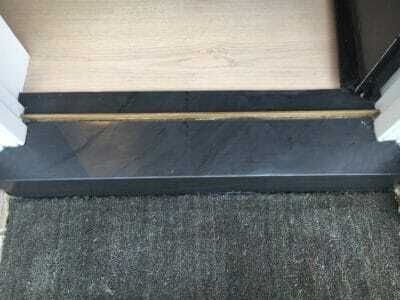 view of the same threshold piece after some polishing and treatment to protect the stone. 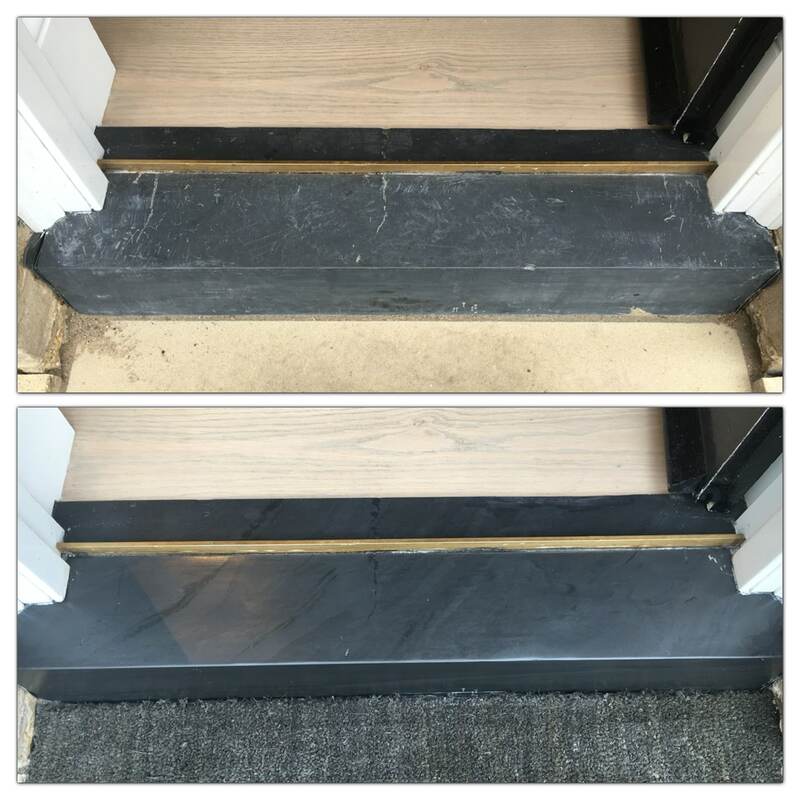 Slate threshold before and after.